What do we know about Vitamin B 12? How does injecting Vitamin B12 actually help with weight loss ? How to get B12 shots ? There is no doubt that Vitamin B12 is very important to human health. However, the weight loss related claims are of a more recent date. Could this well known vitamin be the solution to overweight people’s struggle? Is it really as simple as having it injected? This water soluble vitamin is found in many foods and has a complex role. Most people know it is present in meat, but it’s also available in fish, dairy, fortified yeast and cereals and certain organically grown vegetables with edible roots. People who don’t get enough of it in their diet can easily supplement it. However, Vitamin B12 injections are used for a very specific goal: that of losing weight when nothing else has worked. A lot of people seem to be enthusiastic about it and motivate others to try. B 12 deficiency causes, first of all, anemia. Along with it, it brings fatigue, plus mental and physical weakness. One of the consequences is a sluggish metabolism and a very low desire to exercise. Injections are very efficient at treating this deficiency. The Framingham Offspring Study revealed that a staggering 40% of Americans lack Vitamin B12. This widespread deficiency seems well correlated with obesity in the United States. It thus makes sense to try to combat excessive weight by supplementing this Vitamin in the most reliable way – delivering it straight into the blood. However, the marketers of B-12 shots don’t claim that the vitamin alone will work wonders. It is recommended in conjunction with other weight loss supplements, in order to create a synergic effect. Only then the individual will experience the much desired fat loss. You can read more about this aspect below. B 12 takes part in essential bodily functions – it gives more energy, protects the nerves, boosts the metabolism etc. It can increase the red blood cell count, preventing anemia and eliminating fatigue. By now, you can already figure out by yourself how it can help with weight loss and render one more able to shed extra pounds. It’s a multi-targeted approach that simply gives one a much better chance at looking leaner. There is one study that appears to confirm the weight loss effect: in 2013, Medicinski Glasnik reported that in a group of 1,000 individuals, those being B12 deficient were much more prone to obesity than those who had normal levels. The latter ones were also having no difficulty in maintaining a healthy body weight. Another study, published by PloS One in 2015, outlined that the vitamin has the same effect in pregnant women, too. Thus, there is a connection between B 12 and fat accumulation, but the mechanism behind this is a complex one. Medical professionals along with patients who have tried B 12 supplementation claim that there aren’t any side effects to it. The body can easily get rid of a water soluble vitamin when in excess, through urine and sweat. There have been no reported risks related to it, but can render medication ineffective at times. Therefore, be sure to always tell your doctor about anything that you are taking. Especially with injections, you must e sure you have the green light to proceed. As far as Vitamin B12 is concerned, there isn’t anything really new about it. It is simply part of a healthy, wholesome lifestyle. Getting enough of every vitamin is important to human health. While some of these should not be overdosed (Vitamin A for example), Vitamin C and others similar to it do no harm when present in excess. In fact, no one has set a superior limit. This means you can get plenty of it without any risks. Along with Phentermine-like slimming pills, B12 shots seem to work a lot better. If you’re lacking B 12, then you may get to see spectacular improvements with your first shots, but not so much when you have optimal levels already. You will begin to see your health being restored, your energy levels renewed, although this may eventually reach a plateau. Losing weight is much more complex and when you have enough B12, you must look into other solutions, as it won’t keep on melting your fat away. Check Phen375 Review for faster Results ! 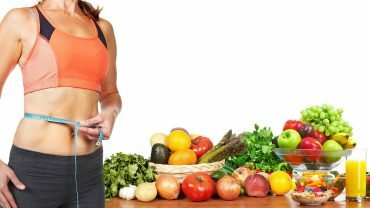 You will find that many facilities provide B12 injections for weight loss. Therefore, you can have these in a safe, controlled environment. You should not purchase any such shots online, since you can’t be sure of what you’re getting. Medical spas and weight loss clinics also advertize B12 shots. These are usually only available with a doctor’s prescription. The physician may ask you to get specific tests done and find out whether there are any underlying conditions or not – or perhaps other health issues generated by the B12 deficiency. The shots are good for both men and women. You don’t have to do these daily. Once a week or even once a month has been deemed as enough by doctors and patients alike, who could see interesting results afterward. Still, the medical community isn’t yet convinced of this strategy, as there isn’t sufficient evidence yet of its effectiveness. B 12 is, however, a very healthy vitamin of which we don’t always get enough and you cannot go wrong with supplementing it; just do not expect massive improvement if your levels are in check – only if you’ve gotten fat because of deficiency. B 12 injections will increase your energy especially when you are deficient. This will make you more apt for exercising, which will definitely change the way you look (and what the scales show) for the better. By improving your mood (B12 is linked to serotonin), you won’t feel like fixing yourself through food cravings and other unhealthy addictions like alcohol. On the other hand, if you’re having B12 in excess, you may not get much of a benefit other than optimal levels of energy, because your body flushes it out.